Busy day? A million things to do? Well, here’s depressing news: you’ll probably mess up about 1,000 of them. That’s what the research shows, at least: for every million tasks a human performs, even the best of us inserts mistakes between 500 and 1,000 times. It might seem a lot, but think of the number of emails you send containing a typo, the number of dishes that make it to the drying rack with a fleck of food still on them, the gaffes when talking with colleagues, the mismatched socks you only spot at lunchtime. None of these slip-ups is likely to prove very costly, whether in terms of time, money or reputation. But the stakes grow higher in certain environments: a pharmacist getting a dosage wrong can take a life; a trader with “fat fingers” can cost his employer millions. It was with this idea in mind, just over 25 years ago, that a team of engineers and scientists at Siemens began to rethink one particular shop floor. The factory in Amberg, a small town near Nuremberg in Germany, made controllers – the boxes stuffed with circuit boards and switches that act as brains for other factories. And it did a pretty good job of it, with customers from across countries and sectors, and a defects per million rate of 550. But even that number felt too high, particularly given that a broken controller can quickly shut down a factory, costing its owners millions of euros per day in stopped production alone. So the team at Siemens began moving the factory towards greater automation, counting on computers to beat humans in the race for quality. In 1990, 25% of the shop floor was automated; today, it is 75%. And the defect rate has dropped sharply – to 11.5 per million. Output has increased 8.5 times while employee numbers and floor space have stayed steady. 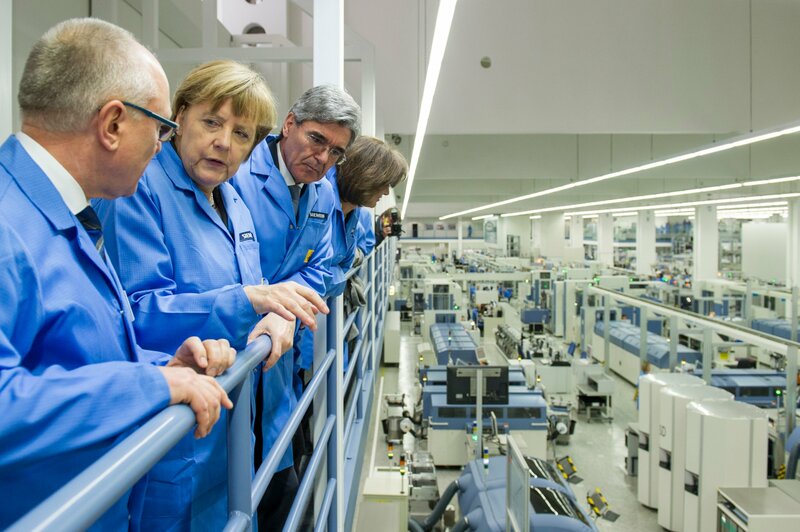 Amberg has become something of a showcase for what automation can achieve; Angela Merkel visited in February and called it an example of Germany’s wealth of “ideas and well-educated workers”. But its real interest for managers, politicians and workers is what it can tell them about the future. The plant is Siemens’s testing ground for a huge development in automation, where factories act less as the setting for a series of sequential steps and more as networks – networks in which assembly lines communicate not just with one another or within the company, but with systems elsewhere and – this is key – with the very products being produced. An automobile bonnet rolls up to the paint machine and tells it, “I should be white”; the next one sends the message to paint it blue. It is also, according to Volkmar Koch, a partner at the consultancy Strategy&, a chance for Europe to lead where in the past it has followed: whereas digitisation of the consumer world “is basically owned and shaped by US companies”, no country or region yet dominates the transformation of industry. You might expect a world built on sensors, software and machines to be devoid of humans. But in Amberg, the 10,000-square-metre shop floor is populated by 1,020 workers over three shifts. And their labour looks relatively physical: a young man lying on his back inches his way under an elegant blue-and-grey machine, as you would under a car needing repair; a woman nearby bends over a circuit board wielding tweezers. Yet other members of staff peer at screens, never touching the products rolling down glassed-in assembly lines. 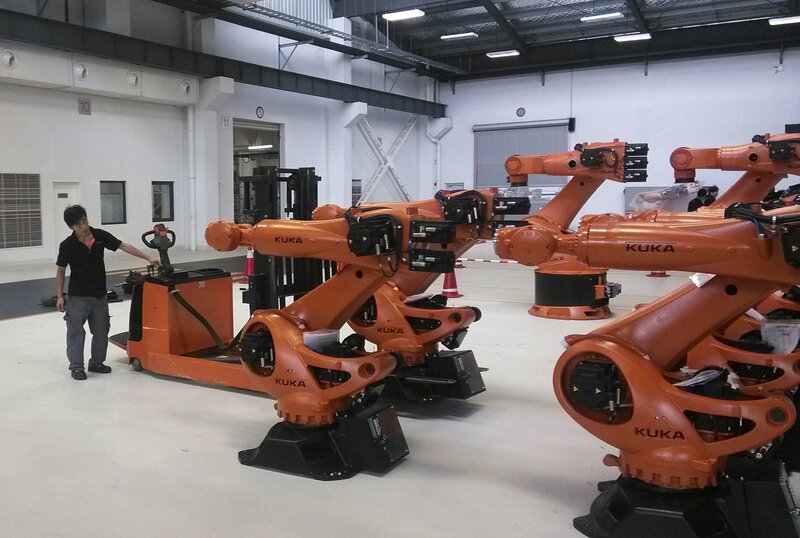 But even if increasing automation hasn’t sapped jobs in Amberg, fast-growing efficiency means new plants might have been built to meet rising customer demand – and new positions to fill them – are now unnecessary. 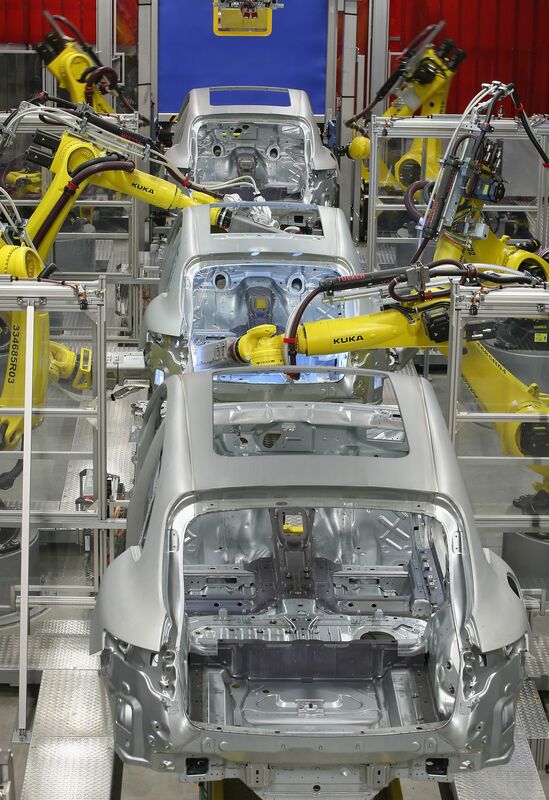 It is an issue that the Germans, at least, are attempting to address head-on, with plans under way to form a national-level working group for Industrie 4.0 that includes employee representatives as well as private businesses and industry bodies. And still, there are serious challenges to overcome, beyond what all of this might mean for workers. Standardisation is one; it doesn’t do much good for your soda bottle to signal to a bottling machine if they don’t speak the same language. A survey by the consultancy Accenture found last year that a third of companies eager to embrace the industrial internet cited “consolidation of disparate data” as a grave concern. And that didn’t just mean data from along the supply chain, where different companies need to find similar standards, but also between departments in their own operations. Security, inevitably, was another top worry. Technicians at Siemens’s headquarters in Munich have recently started trying to hack into the Amberg factory’s systems, as tests to protect against the real deal. To take full advantage of “smart factories”, every link in the supply chain must be secure – a huge challenge, and one with an inherent conundrum in that taking full advantage of “smart factories” also necessitates allowing a wide distribution of information; in Amberg, any employee can see the real-time data about each product on the assembly line. Companies must find a way to find a balance between transparency and security.